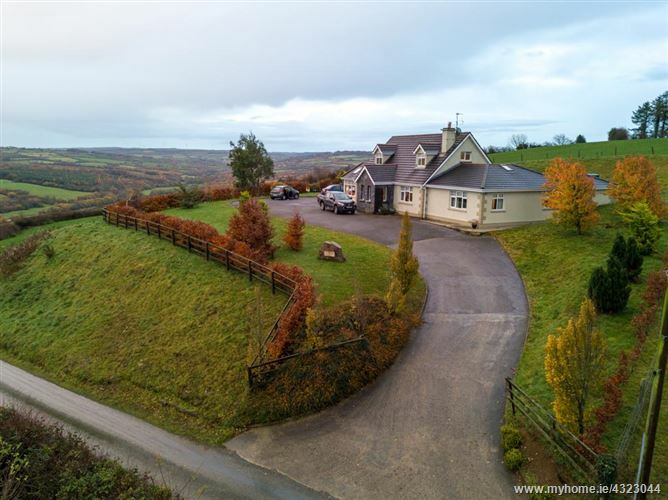 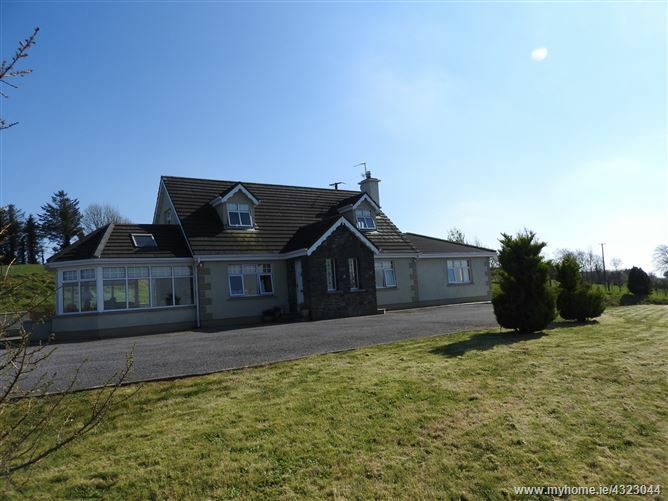 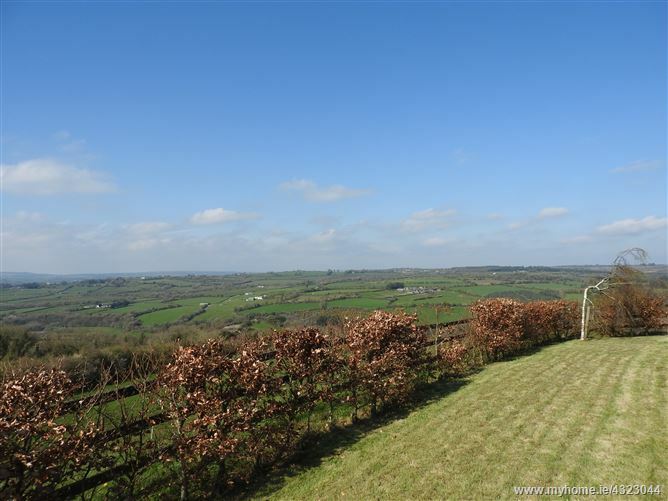 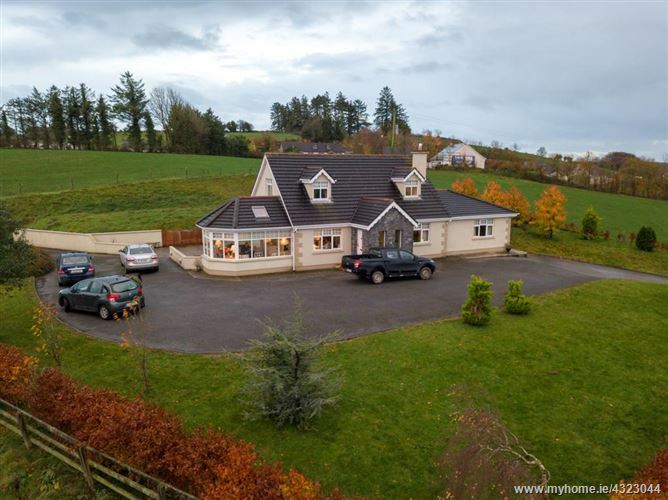 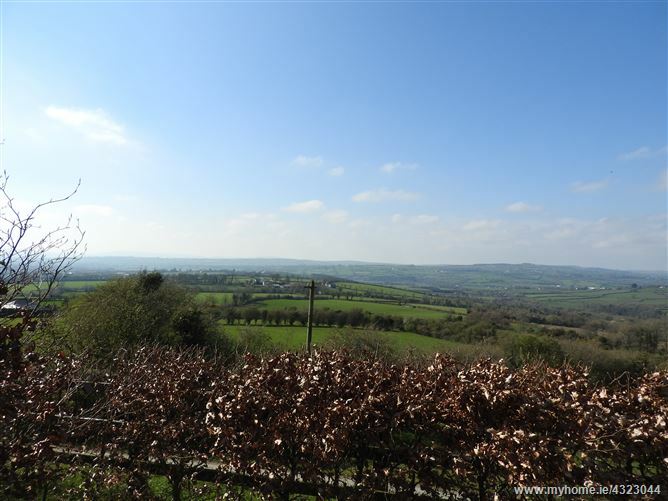 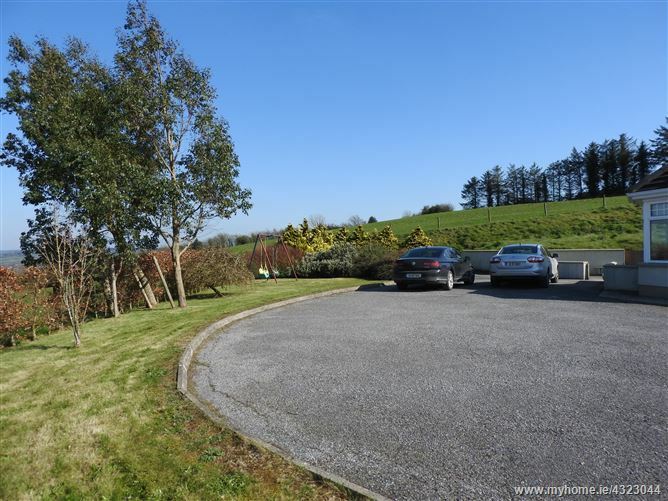 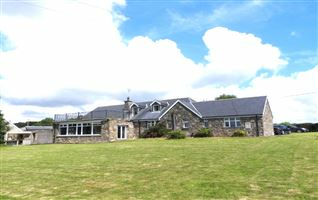 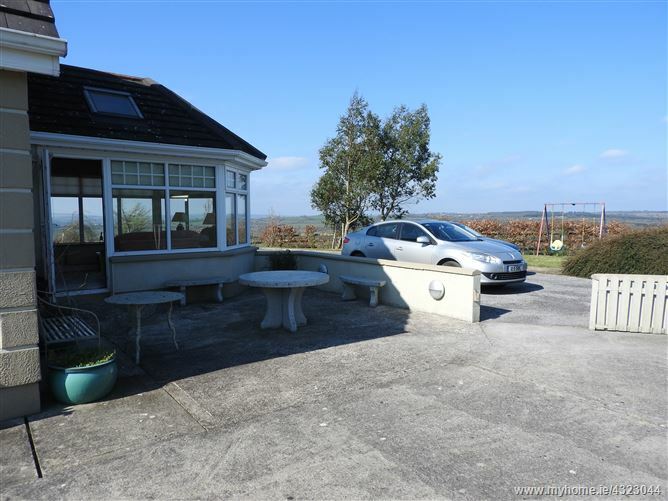 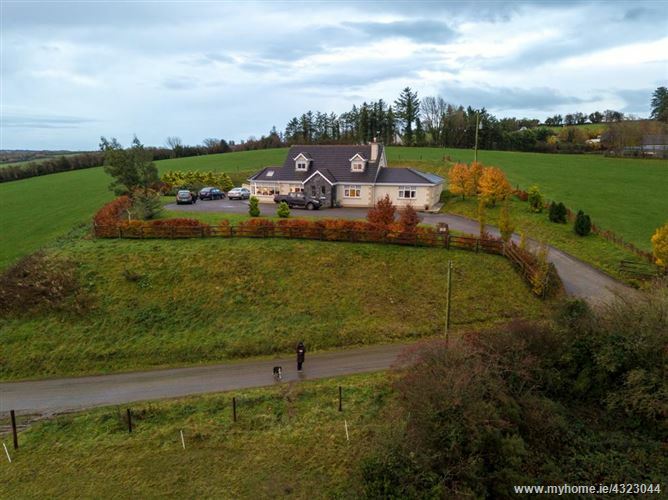 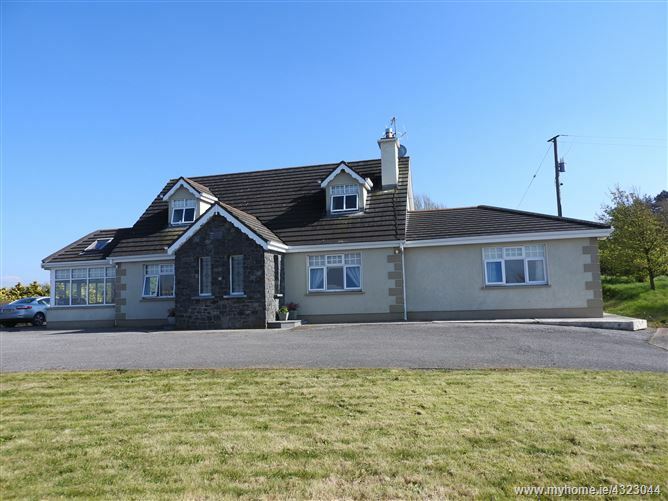 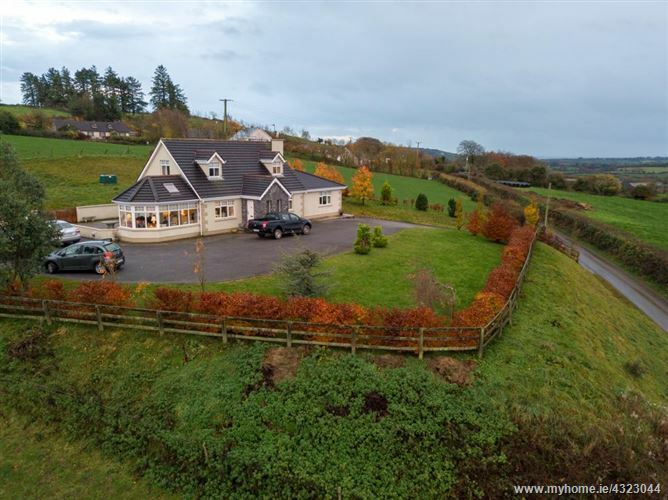 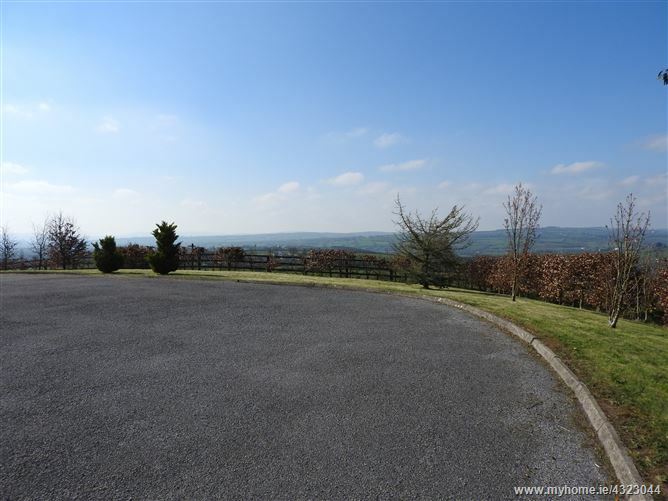 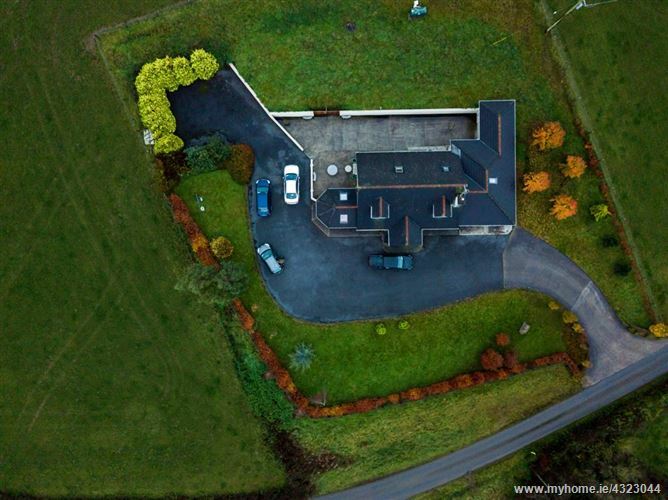 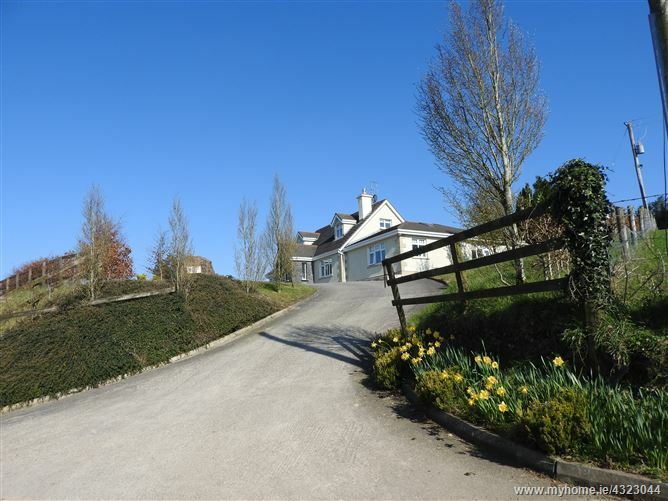 We are delighted to be offering this beautiful family home for sale, extending to c.2130sqft/198sqm., sitting on a mature ¾ acre site, boasting the most stunning views of the surrounding countryside. 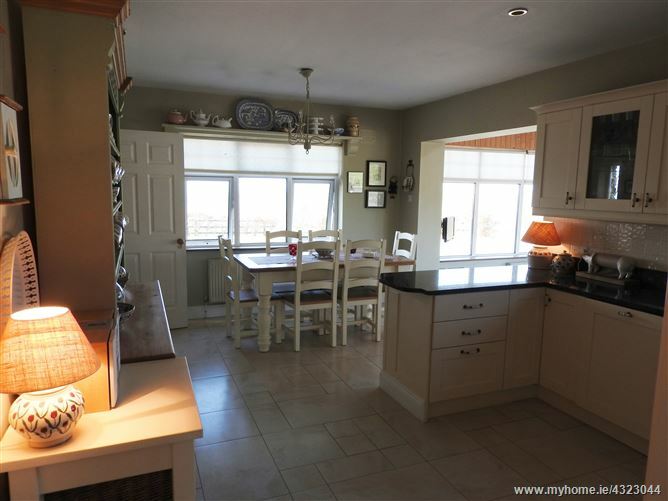 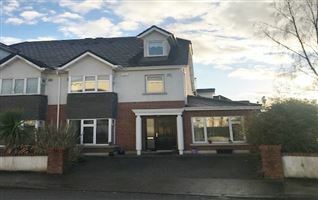 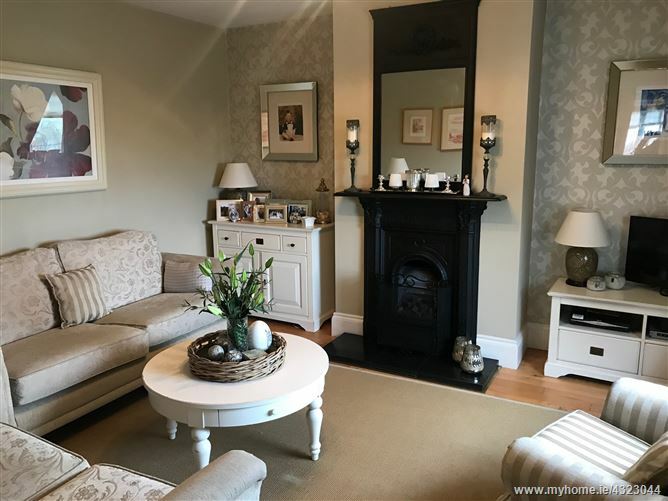 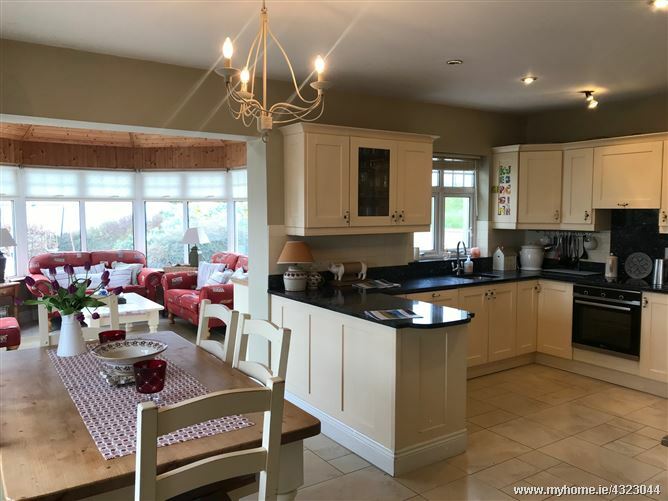 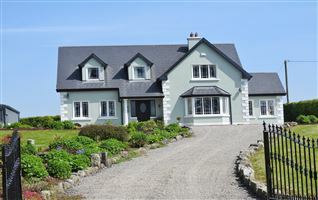 Built in 1999, this home has been graciously maintained offering an abundance of features, such as 5 bedrooms, 3 bathrooms, office, open plan kitchen-dining-living. 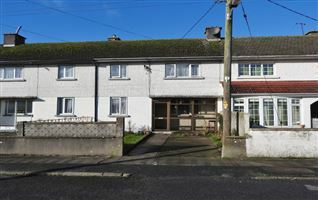 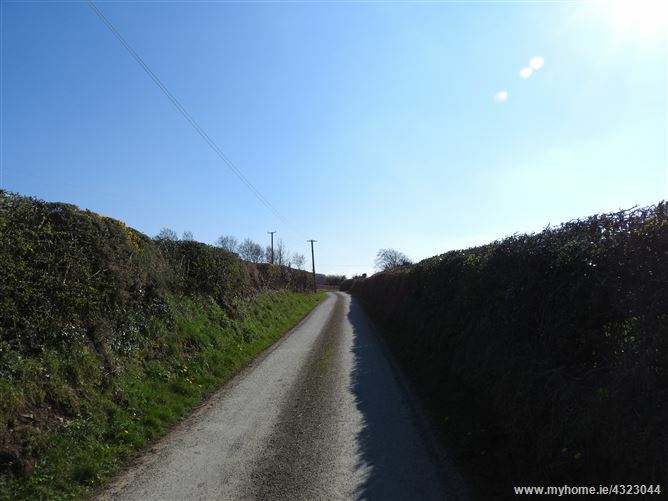 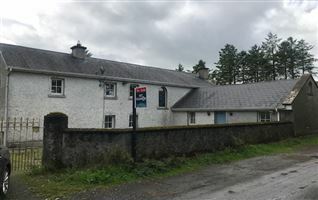 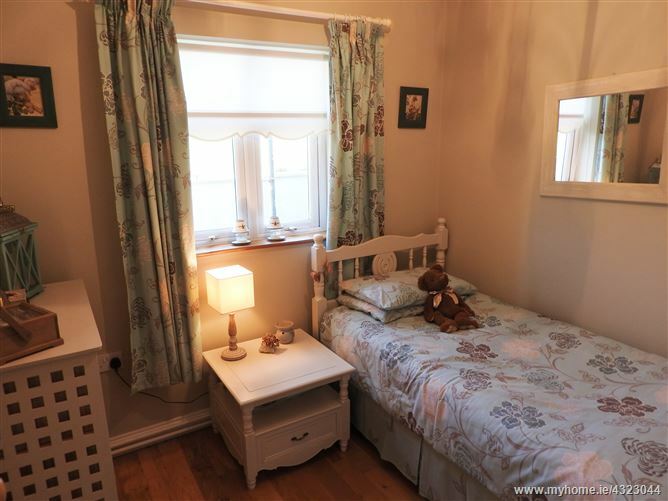 Accessed via short shared laneway access, on the edge of the village with the church, primary school and creche only a few hundred yards away. 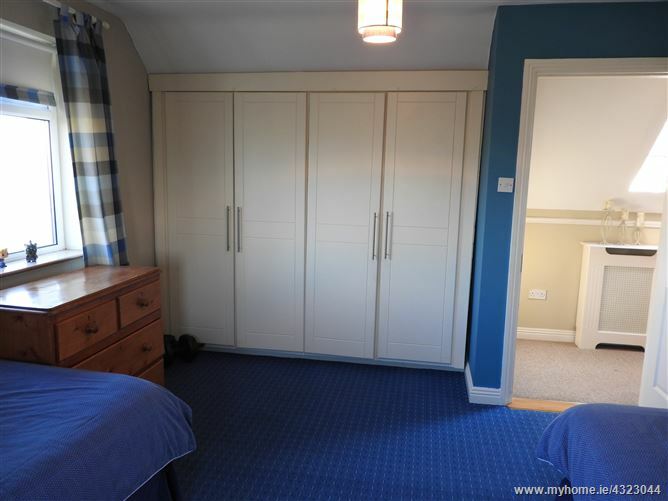 Worthy of inspection! 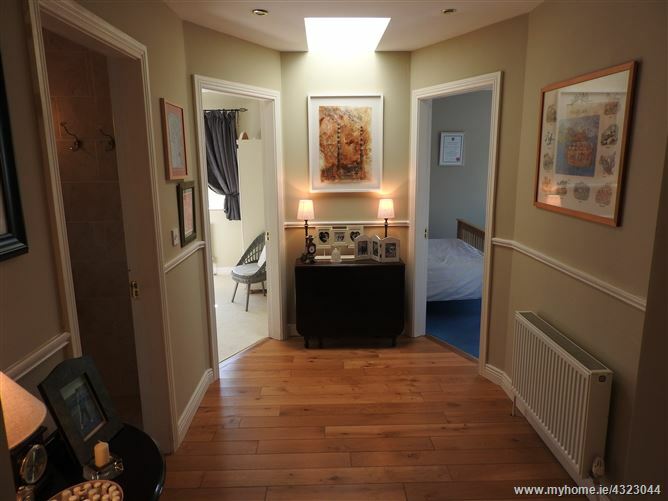 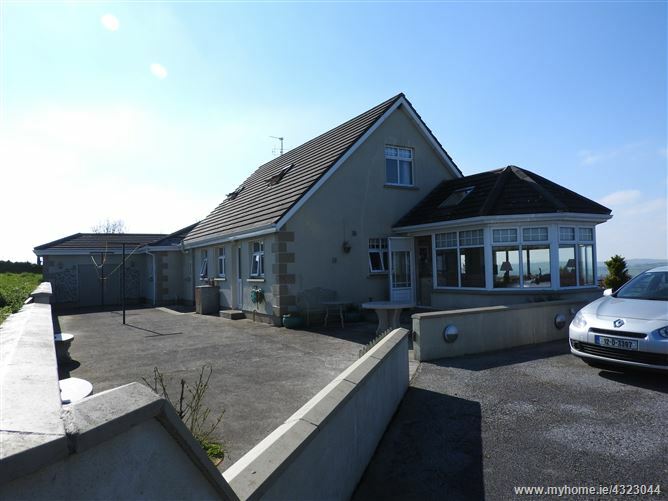 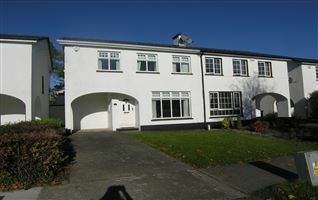 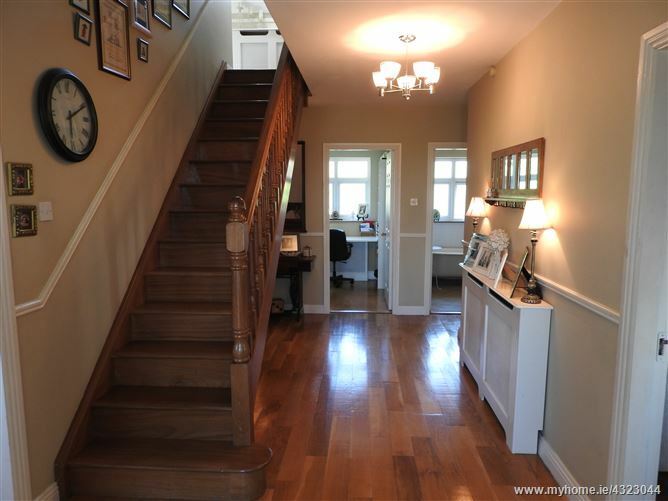 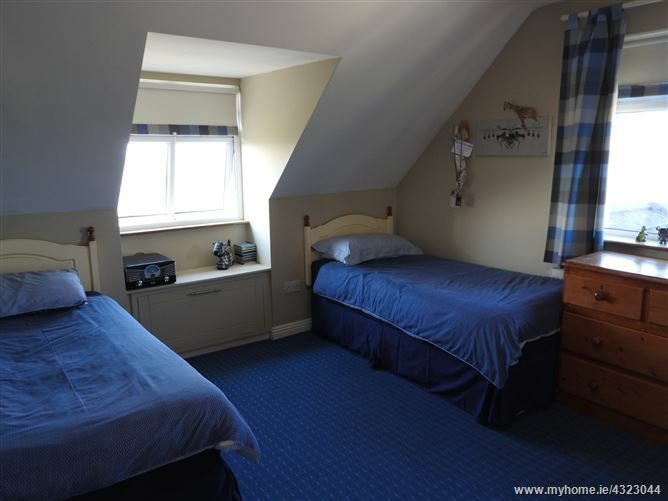 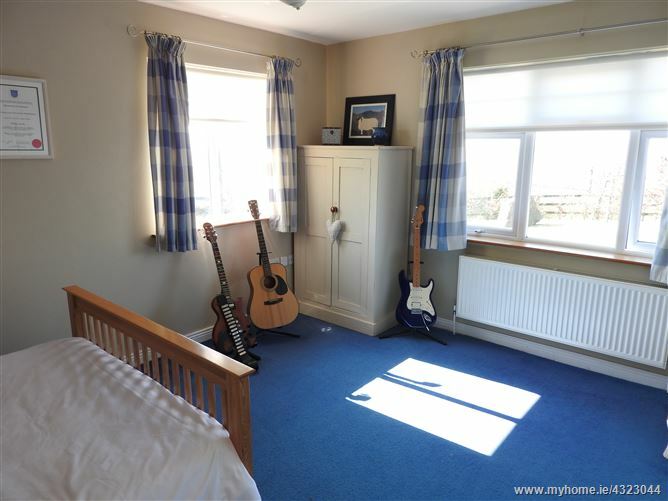 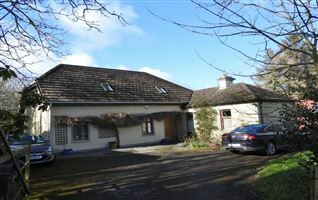 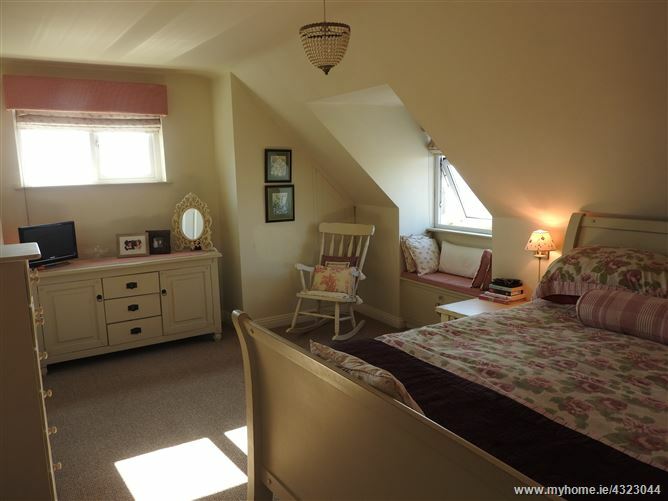 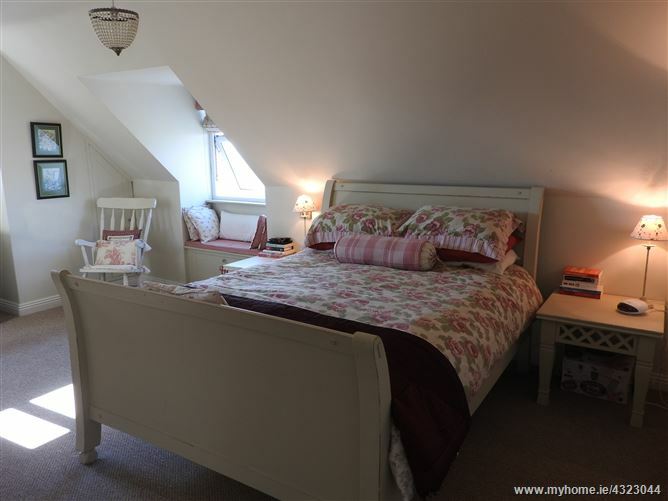 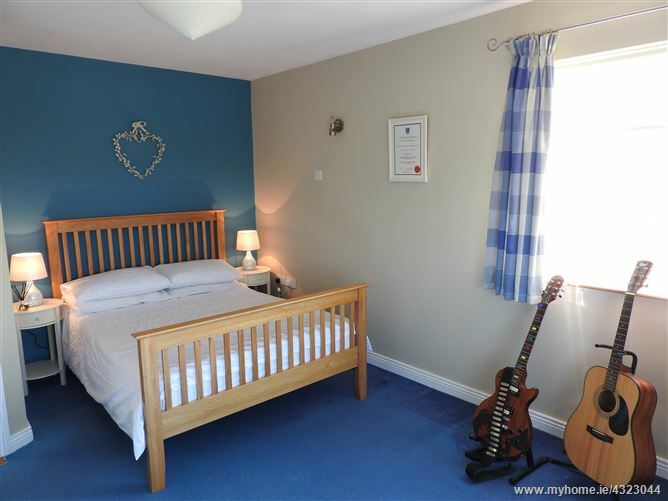 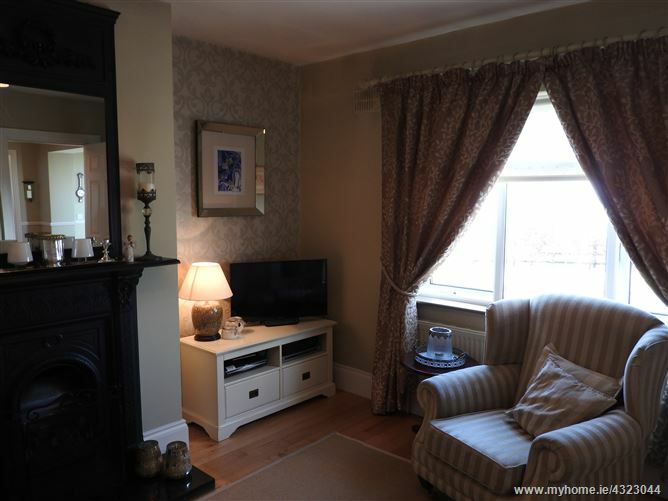 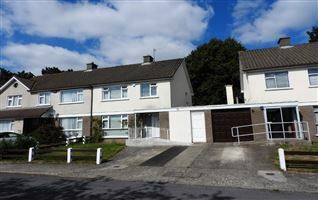 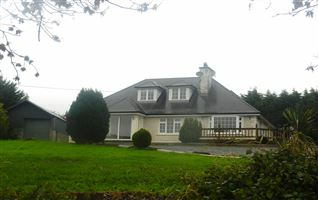 Bright spacious hallway, with solid timber flooring, stairwell to first floor accommodation. 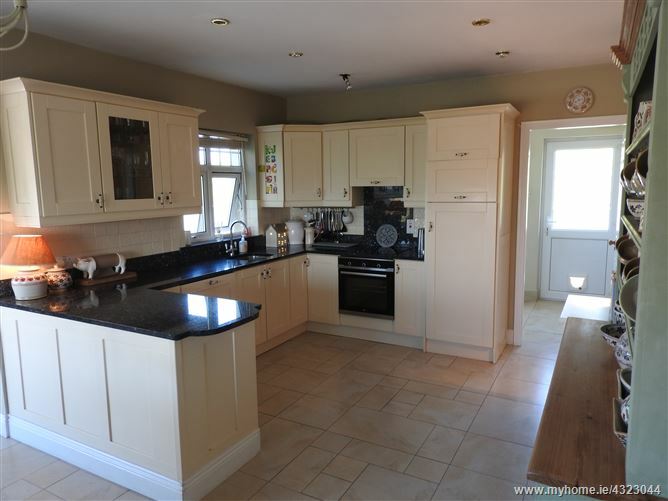 Kitchen units at floor and eye level, tiled between units, includes integrated fridge, dishwasher, 4 ring hob, oven and extractor fan; Breakfast counter; recess lighting, tiled floor in kitchen-dining area and through to the utility room. 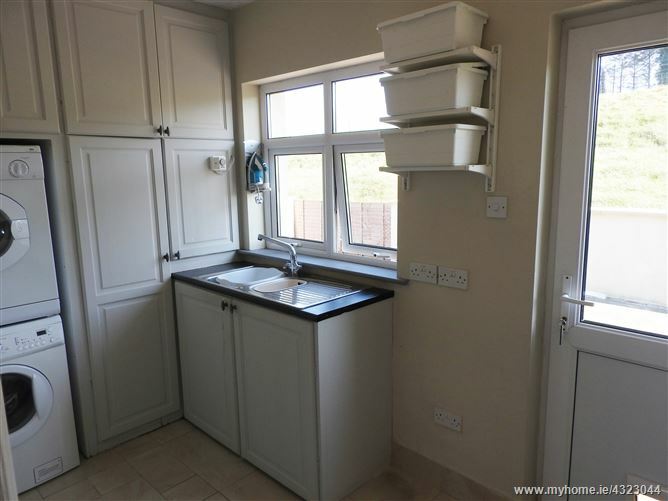 Plumbed for and includes washing machine and dryer, built-in storage units and sink, door leading out to rear yard. 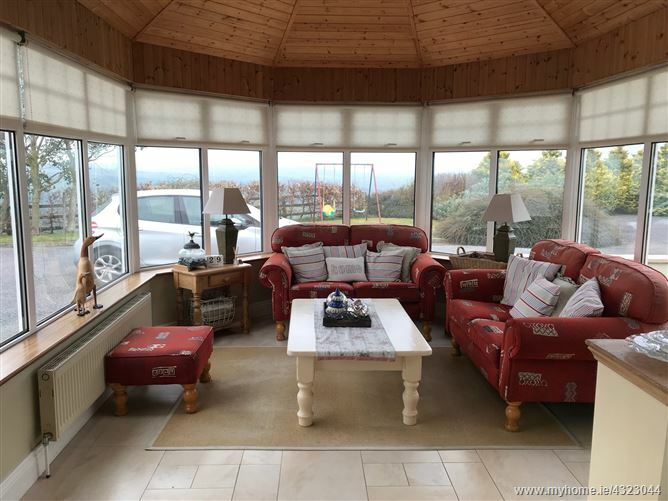 Tiled floor, door leading out to Patio Area, open plan to dining area; features high panelled ceiling with 2 x Velux, this is a lovely relaxing room capturing all the stunning views of the surrounding countryside. 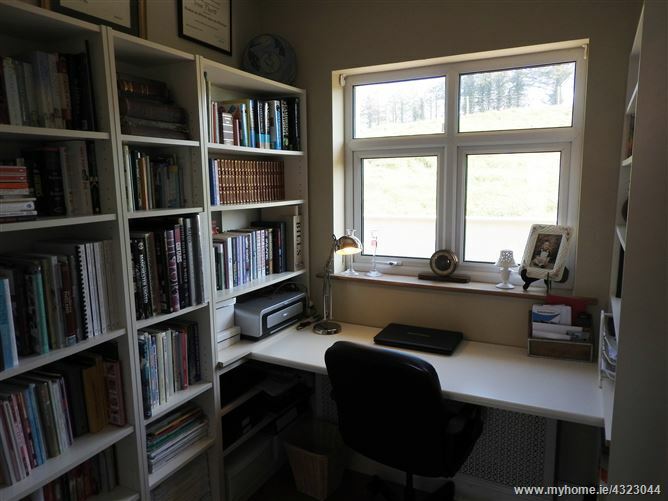 Built-in shelving to both sides with desk, timber flooring. 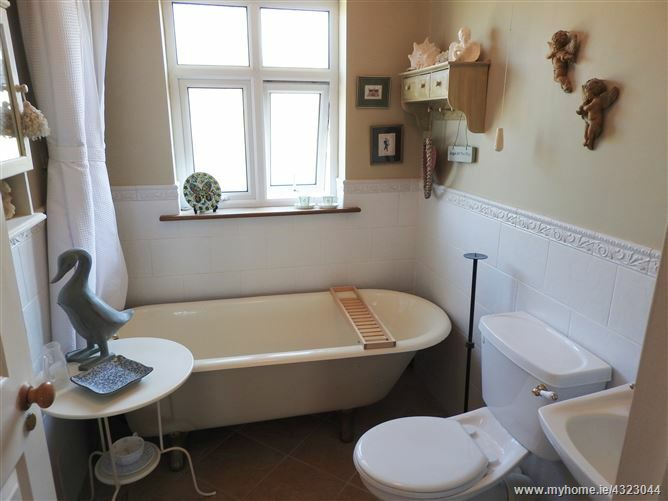 Tastefully presented with twin basins in granite, double shower area and WC. 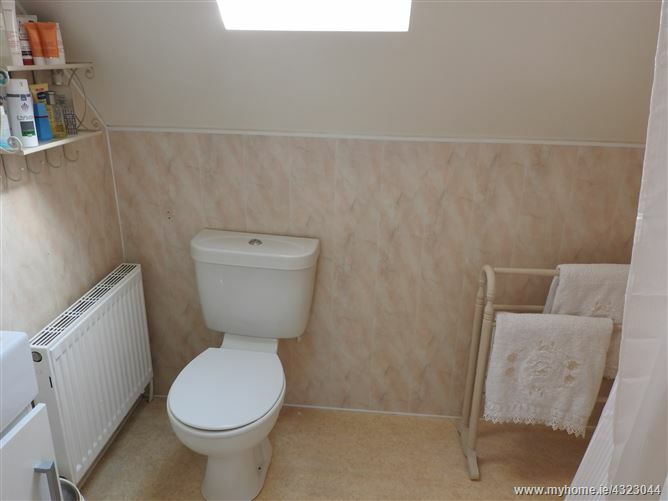 Tiled floor to ceiling.